The holidays are often filled with opportunities for togetherness, sharing, laughter, and memories. But they can also bring stress, disappointment, and sadness. A person living with Alzheimer’s may feel a special sense of loss during the holidays because of the changes he or she has experienced. At the same time, caregivers may feel overwhelmed maintaining traditions while providing care. In the early stage, a person with Alzheimer’s may experience minor changes. Some may withdraw and be less comfortable socializing, while others may relish seeing family and friends as before. The key is to check in with each other and discuss options. A simple “How are you doing?” or “How are you coping with everything?” may be appreciated. Plan the holidays together, focusing on the things that bring happiness and letting go of activities that seem overwhelming or stressful. • Call a face-to-face meeting or arrange for a group discussion via telephone, video chat or email for family and friends to discuss holiday celebrations. Make sure that everyone understands your caregiving situation and has realistic expectations about what you can and cannot do. No one should expect you to maintain every holiday tradition or event. • Give yourself permission to do only what you can reasonably manage. If you’ve always invited 15 to 20 people to your home, consider inviting five for a simpler meal. Think about having a potluck dinner, asking someone to order and bring dinner, or asking others to host. You may notice that ___ has changed since you last saw him/her. Among the changes you may notice are ___. I’ve enclosed a picture so you know how ___ looks now. Because ___ sometimes has problems remembering and thinking clearly, his/her behavior is a little unpredictable. Please understand that ___ may not remember who you are and may confuse you with someone else. Please don’t feel offended by this. He/she appreciates your being with us and so do we. Please treat ___ as you would any person. A warm smile and a gentle touch on ___’s shoulder or hand will be appreciated more than you know. We would ask that you call when you’re nearby so we can prepare for your arrival. With your help and support, we can create a holiday memory that we’ll all treasure. Involve the person living with Alzheimer’s. • Maintain the person’s normal routine as much as possible, so that holiday preparations don’t become disruptive or confusing. Taking on too many tasks can wear on both of you. • Build on traditions and memories. Your family member may find comfort in singing holiday songs, but you may also experiment with new traditions that might be less stressful or a better fit with your caregiving responsibilities, such as watching seasonal movies. 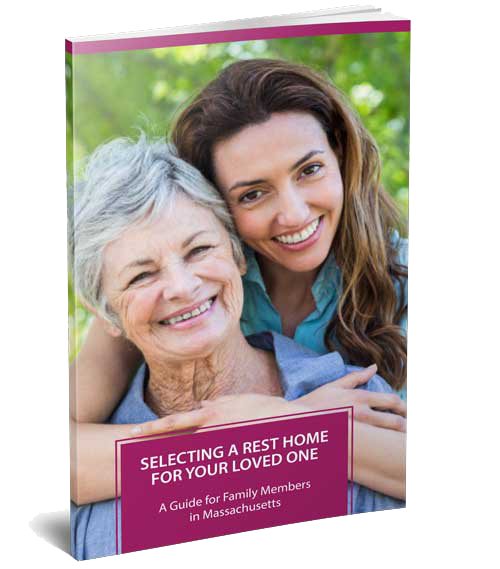 • Provide people with suggestions for useful and enjoyable gifts for the person, such as an identification bracelet (available through MedicAlert® + Alzheimer’s Association Safe Return®); comfortable, easy-to-remove clothing; CDs of favorite music; photo albums of family and friends; or favorite treats. • Depending on his or her abilities and preferences, involve the person in gift giving. For example, someone who once enjoyed baking may enjoy helping to make cookies and pack them in tins or boxes. Or you may want to buy the gift so that the person can wrap it. • If friends or family members ask you what you’d like for a gift, you may want to suggest a gift certificate or something that will help make things easier, like housecleaning; lawn, handyman or laundry services; restaurant gift cards; or even volunteer to visit with the person for an afternoon so you can have some time off. • Celebrate over lunch or brunch, rather than an evening meal, so you can work around the evening confusion, or sundowning if it sometimes affects the person with Alzheimer’s. Consider serving non-alcoholic drinks and keeping the room bright. • Prepare for the post-holiday letdown. Arrange for in-home care so you can rest, enjoy a movie or have lunch with a friend, and reduce post-holiday stress and fatigue. MedicAlert® + Alzheimer’s Association Safe Return® is a 24-hour nationwide emergency response service for individuals with Alzheimer’s or other dementias who wander or have a medical emergency. To learn more or to enroll, call 888.572.8566 or register online at alz.org/safety.